On the 9th (Sun), contemplate the long history of Mandela House, then examine the collection at Apartheid Museum, and then ponder the world of politics at Constitution Hill. On your second day here, brush up on your military savvy at South African National Museum of Military History and then view the masterpieces at Everard Read Gallery. For traveler tips, where to stay, maps, and tourist information, read Johannesburg trip builder website . Jeddah, Saudi Arabia to Johannesburg is an approximately 11.5-hour flight. The time zone changes from Arabia Standard Time to South Africa Standard Time, which is usually a -1 hour difference. Expect cooler temperatures when traveling from Jeddah in June; daily highs in Johannesburg reach 22°C and lows reach 5°C. Finish your sightseeing early on the 10th (Mon) so you can travel to Kruger National Park. Escape the urban bustle at Game drives at Phalaborwa Gate in Kruger National Park and Idube Game Reserve. Your cultural itinerary includes sights like Masorini Archaeological Site and Ukuthula Designs. 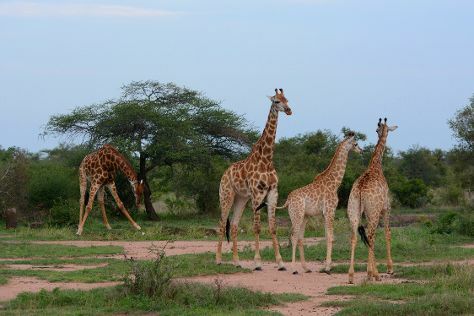 Step out of Kruger National Park to go to Phalaborwa and see Amarula Lapa, which is approximately 1h 50 min away. There's still lots to do: trek along Sweni Wilderness Trail and stroll through Bushmans Trail. For other places to visit, photos, where to stay, and other tourist information, refer to the Kruger National Park day trip app . You can do a combination of flight and taxi from Johannesburg to Kruger National Park in 5 hours. Other options are to drive; or do a combination of bus and taxi. Prepare for a bit warmer weather when traveling from Johannesburg in June: high temperatures in Kruger National Park hover around 26°C and lows are around 11°C. Finish your sightseeing early on the 14th (Fri) so you can drive to Hazyview. Step out of the city life by going to Kruger National Park and Elephant Whispers. 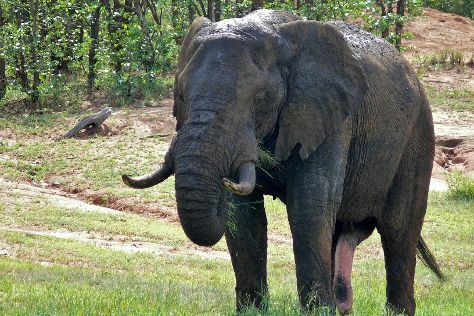 Next up on the itinerary: identify plant and animal life at Wildlife Areas, whizz through the canopy at some of the top local zipline courses and adventure parks, and tour the pleasant surroundings at Elephant Sanctuary Hazyview. For where to stay, maps, other places to visit, and tourist information, read Hazyview trip builder tool . Getting from Kruger National Park to Hazyview by car takes about 4 hours. Other options: do a combination of taxi and bus. In June, plan for daily highs up to 25°C, and evening lows to 12°C. Wrap up your sightseeing on the 17th (Mon) to allow time to travel to Plettenberg Bay. Kick off your visit on the 18th (Tue): stroll through Robberg Nature Reserve, tour the pleasant surroundings at Birds of Eden, and then stroll through Monkeyland Primate Sanctuary. On the 19th (Wed), you'll have a packed day of sightseeing: tour the pleasant surroundings at The Dolphin Trail. For other places to visit, photos, ratings, and more tourist information, go to the Plettenberg Bay online itinerary planner . Getting from Hazyview to Plettenberg Bay by combination of bus, taxi, and flight takes about 7.5 hours. Other options: do a combination of taxi, flight, and bus; or drive. Expect a bit cooler weather when traveling from Hazyview in June: highs in Plettenberg Bay hover around 22°C, while lows dip to 12°C. Wrap up your sightseeing on the 19th (Wed) to allow time to drive to Oudtshoorn. 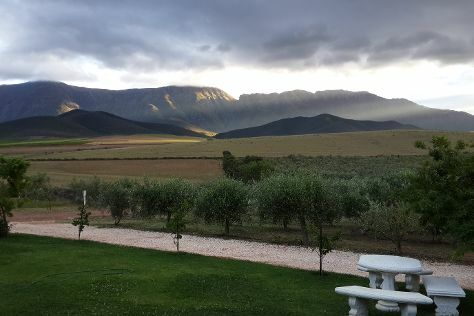 On the 20th (Thu), Head underground at The Cango Caves, then take a memorable drive along Swartberg Pass, and then learn about winemaking at Karusa Vineyards. To find ratings, traveler tips, reviews, and more tourist information, refer to the Oudtshoorn planner . Traveling by car from Plettenberg Bay to Oudtshoorn takes 2.5 hours. Alternatively, you can take a bus. Expect a bit cooler evenings in Oudtshoorn when traveling from Plettenberg Bay in June, with lows around 8°C. Finish your sightseeing early on the 20th (Thu) to allow enough time to drive to Robertson. A small town with a big heart, Robertson lies in beautiful Wineland surrounded by mountainous scenery, charming visitors with jacaranda-lined streets, vineyards, and Edwardian and Victorian houses. Start off your visit on the 21st (Fri): do a tasting at Graham Beck Robertson Estate, learn about winemaking at Bemind Wines, then do a tasting at Lord's Wines, and finally relax and rejuvenate at some of the best spas. On your second day here, do a tasting at Springfield Estate Winery, do a tasting at Marbrin Olive Growers, then do a tasting at Esona Boutique Wine Estate, and finally do a tasting at Excelsior Wine Estate. To see other places to visit, ratings, where to stay, and tourist information, use the Robertson journey planner . Traveling by car from Oudtshoorn to Robertson takes 3 hours. Alternatively, you can take a bus; or take a bus. In June, plan for daily highs up to 21°C, and evening lows to 7°C. Finish your sightseeing early on the 22nd (Sat) to allow enough time to drive to Cape Town. Visiting Cape of Good Hope and Robben Island Museum will get you outdoors. Get some cultural insight at Maclear's Beacon and Bo-kaap. There's lots more to do: tour the pleasant surroundings at Boulders Beach, take in the waterfront activity at Victoria & Alfred Waterfront, see the interesting displays at District Six Museum, and learn about winemaking at High Constantia Wine Cellar. To see photos, other places to visit, maps, and tourist information, read our Cape Town route planning app . Traveling by car from Robertson to Cape Town takes 2 hours. Alternatively, you can take a bus; or do a combination of bus and train. June in Cape Town sees daily highs of 20°C and lows of 9°C at night. Cap off your sightseeing on the 27th (Thu) early enough to travel back home.